Brace yourselves...the foldable phones are coming. The innovation we've been talking about all year is becoming a reality. Yet, now that we have seen the first flexible smartphones unfold in front of us and Samsung and co will begin to offer them to market soon, it's time to ask ourselves...is this worth it? Perhaps a reality check is in order. 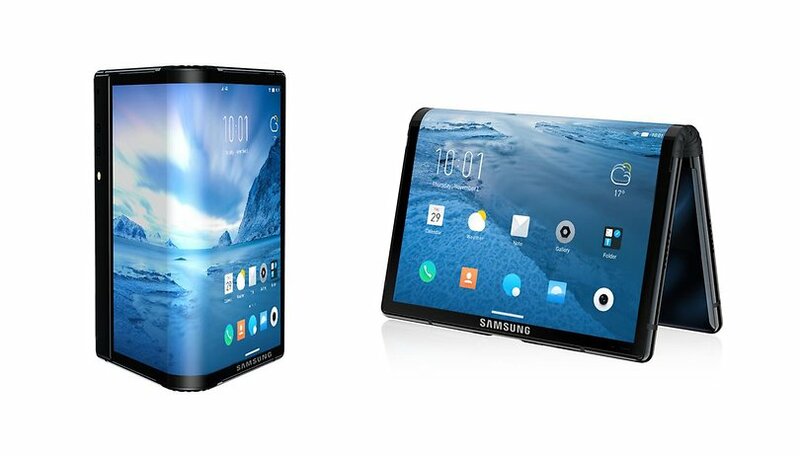 While they certainly do look cool and futuristic, from what I've seen so far, foldable phones don't really seem like devices that I would pay an exorbitant flagship price to actually use. Samsung and Royole take different approaches to the flexible display. Samsung is actually using two separate displays—one on the 'inside' that you use in tablet mode, and a smaller "cover display" on the outside that activates when the device is folded. Demonstrated at Samsung's Developer Conference under rather poor lighting conditions, the device itself seems rather blocky and bezel-y (that's a word now). The Royole FlexPai is what I consider to be more of a 'true' folding smartphone, using a single folding display on the outside of the device. But beyond the hardware achievement, the device doesn't have much to offer in terms of speed, convenience, size or functionality. Certainly not in price, at around $1,300. Once we get past the initial 'ooh...aah' wow factor of seeing the display bend, I can't say that these phones look like anything I'd actually want to use. Even if these new foldable devices were comparable in performance to current flagships, I don't see the foldablity as being a big selling point. The early days of a new technology are usually quite hit-and-miss before it develops and eventually finds its place on the market. Right now, I don't think we're even close to a desirable consumer product, but what do you think? Do you even want a foldable phone? Were you excited to see foldable phones at last? What do you think they need to be a success? Leaks are saying the Samsung folder will cost 1700 U$. No way is the value there. And it will still sell to the clueless prestige set. I would suggest instead of buying such expensive not so fully functional innovative devices, just buy some good apps from Play Store to improve your user experience on your existing smartphone. As for brands, give us front firing speakers, a circular fingerprint scanner at the right position on the back of the device, regular software updates on monthly and yearly basis for a long time, headphone jack, bigger batteries without the bulk, clean Android without bloatware, and high grade metal but not a fragile glass construct unless absolutely necessary, bright displays for good sunlight legibility and more durable and scratch resistant display panels. These are the things which we want in a smartphone. Give us genuinely useful features not marketing gimmicks which even kills useful features and at the end of the day we are left with foolery like a notch. I totally agree and the foldable screen most likely will be fragile and will either break easily and/or disintegrated/perish from normal wear and tear of opening and closing it due to daily use. Reminds me of the days of slide mobile devices and how the mouth piece part broke after a while from all the opening and closing. Didn't read article, only headline. Answer: yes. If you don't, who cares? But you earned from displaying some ads, well done. At the end of the day you will not be able to use the device in it's folded state you will have to use it folded open iow use it when the screen is folded open or big as most app developers will prefer it as there will be more space for them to use I think. Thus folding it will become useless. Thus you will basically be left with a tablet that can fold up. Then you can just as well use a tablet and get rid of your mobile. In my opinion they are just reinventing something we already have it can just fold up. I'm still far from the idea of ​​buying a folding phone. Not before it looks like a device from the future, as in "Elysium" ... It's so thick, and the one with the outer hinge, on Internet videos, it shows that the top layer of the screen wrinkles when it's unfolding ... It's too early ... When they become thin and reliable and at the cost of the current flags, then I will buy. It will be the flagship I guess. I completely agree. For me there are just too many negatives with protecting the screen. For the most part I always carry my tablet for when I want to use a larger screen. And use my phone for everything else. I'm not averse to the idea but i want to see a more developed version. I do often carry both a tablet and phone and use the tablet much more than the phone. But the software and screen quality plus durability will be key.